Sometimes a manhole cover displays a building which is located not far away. This piece on a platform of the main railway station in Prague shows the nearby Art Nouveau entrance hall. 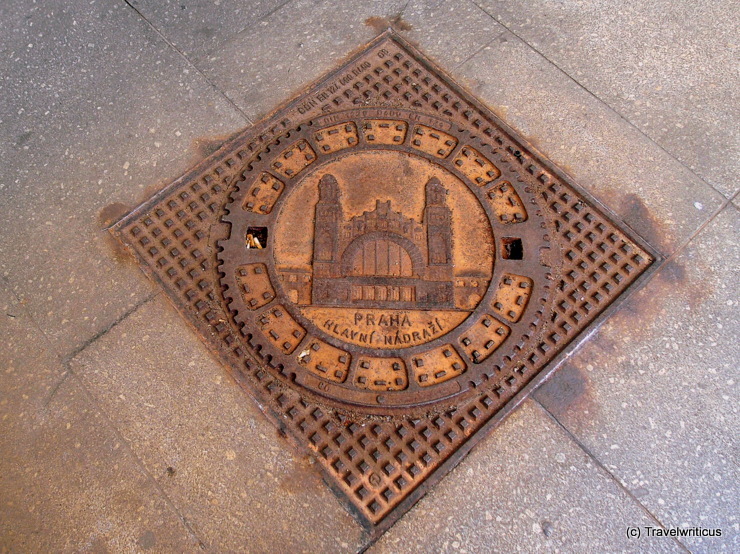 This entry was posted in Manhole Covers and tagged Czechia, Prague by Travelwriticus. Bookmark the permalink.